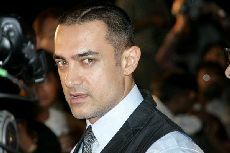 For the last two years, two of Bollywood's biggest Khan's Shahrukh Khan and Aamir Khan have had movie releases in late in the year close to each other. In 2007, it was SRK in Om Shanti Om (2007) and Aamir Khan in Taare Zameen Par (2007) , then in 2008 it was SRK with Rab Ne Bana Di Jodi (RNBDJ) (2008) with Aamir following with biggest box office hit of the year Ghajini Remake (2008) , now in 2009 the two stars will have releases close to each other, SRK's My Name Is Khan (MNIK) (2009) is scheduled to release in november 2009, while 3 Idiots (2009) starring Ammir will release on December 25, 2009. We will have to wait and see which film hits box office success this time. Will Shahrukh be able to overcome Ammir last two success and come out on top in 2009?